A pressure safety valve (PSV) protects pressure vessels and piping systems from excessive internal pressure. When a system reaches a predetermined pressure the PSV opens, a portion of the media discharges, and the pressure inside drops to a safe limit. Once the pressure reaches the valve’s reseating set point, the valve closes. 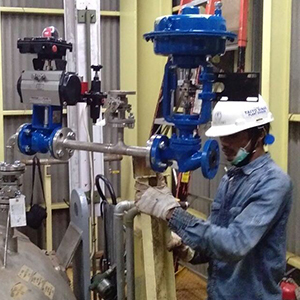 Periodic testing and adjustment of pressure safety valves is essential to maintain overall safety in Oil & Gas, Power Generation, Water/Wastewater, Aerospace/Aviation, Chemical/Plastics, Steel Manufacturing, and many other industries. 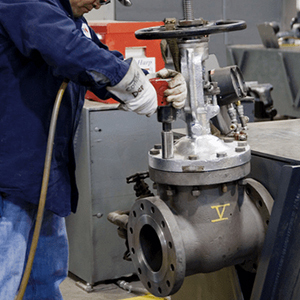 The most common test method for safety valves and relief valves is a bench test, performed in a workshop. Such tests typically occur in conjunction with disassembly, inspection, and repair. Inako Persada is a Calibration Technologies service specializing in pressure reduction / flow and calibration and service control valves. We ensure that parts and service kits are available to ensure we make our commitment to provide 48 hours of completion time. The use of advanced machines and our alignment / calibration testing instruments ensures the best results for our customers. Light meter and gas monitor that conducts behavior in our seven laboratories. The Inako Persada workshop service valve is 25mm to one meter in diameter. 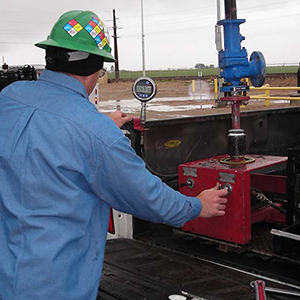 We use the most modern instrumentation to achieve the highest standards of alignment / calibration testing. 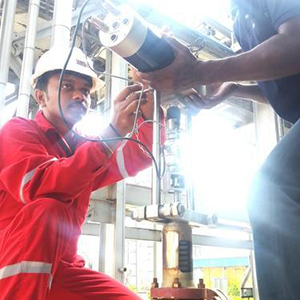 Our technicians provide regular and reliable on-site valve service. Contact us for an estimated price on most types of valves.